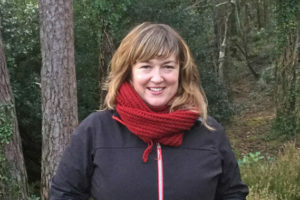 Warm congratulations to Rachel Andrews who’s been announced as one of the winners of the 2018 Hubert Butler Essay Prize. https://www.hubertbutleressayprize.com/2018-winners. Rachel guest lectures on the long-form essay for the Creative Writing MA’s Writing for Media module. Rachel is a writer and journalist based in Cork. Her writing has appeared in n+1, Longreads, the London Review of Books, Brick literary journal, the Dublin Review and the Stinging Fly. She has been shortlisted for the Fitzcarraldo Essay Prize (2018), and for the Notting Hill Essay Prize (2017). This entry was posted in News on October 25, 2018 by Mary Morrissy. 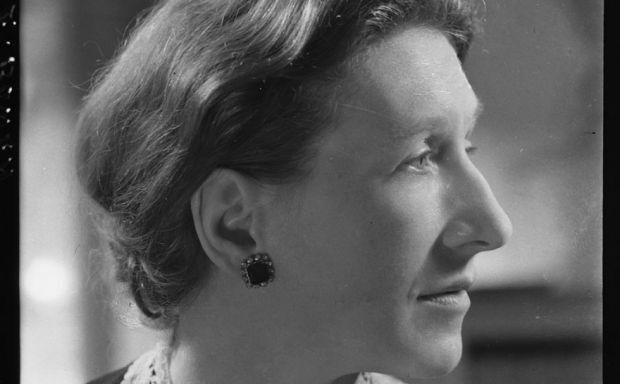 On Thursday, October 25, he will lecture on Anglo-Irish novelist Elizabeth Bowen and her links to espionage during World War II – see https://www.wellesley.eduevents . 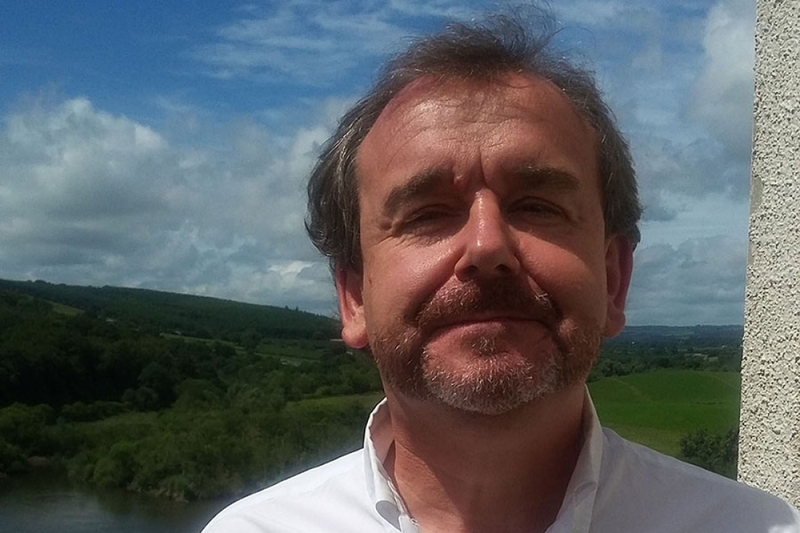 Also this week he will be lecturing on the short stories of Carys Davies, the 2018 Frank O’Connor International Fellow at UCC, at Emerson College. The events are co-sponsored by Culture Ireland. This entry was posted in News on October 22, 2018 by Mary Morrissy. 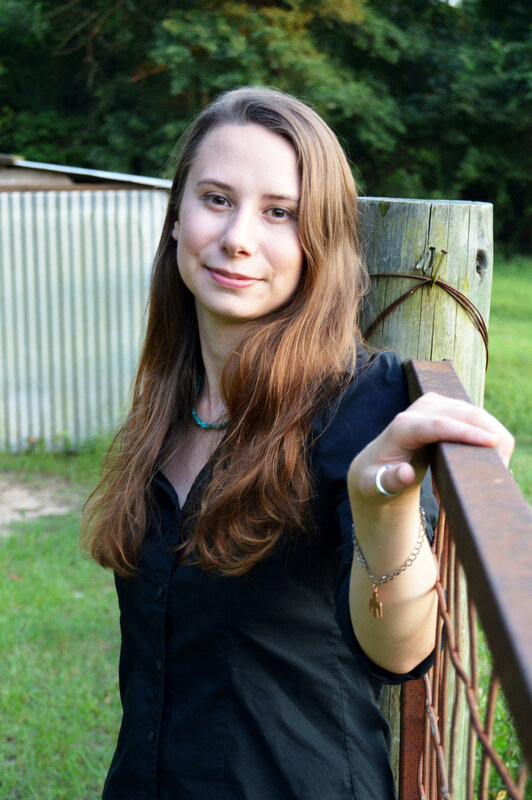 Heartiest congratulations to Jenni de Bie, creative writing MA graduate (2015/16), whose first novel is forthcoming from Dreaming Big Publications in the US. (http://www.dreamingbigpublications.com/). The Adventures of Dogg Girl and Sidekick – front cover featured above – is a cross-genre, mature young adult/Superheroes novel though it also flirts with sci-fi and urban fantasy, according to the author. It tells the story of tough college student Karissa Dogg who grows up on the rough edge of Commonland, a city protected by the superhero and sidekick duo, Adamant and Aspect. Born in a neighborhood where heroes never turn up, Karissa would rather spar at the gym and drink with her friends than hang out on the fringes of the supers’ lives. However a chance event draws her deeper into their shadow world. . .
Jenni is a native Texan who came to Cork to pursue her MA and decided to stay on. She’s currently pursuing a PhD specializing in Mary Shelley’s Frankenstein at UCC under the supervision of Dr Graham Allen, School of English. Wearing her academic’s hat, she will be lecturing on Mary Shelley at Frankenreads, a special event at UCC (October 30 – November 2) to celebrate the 200th anniversary of the publication of Frankenstein – see https://frankenreadscork2018.wordpress.com/. 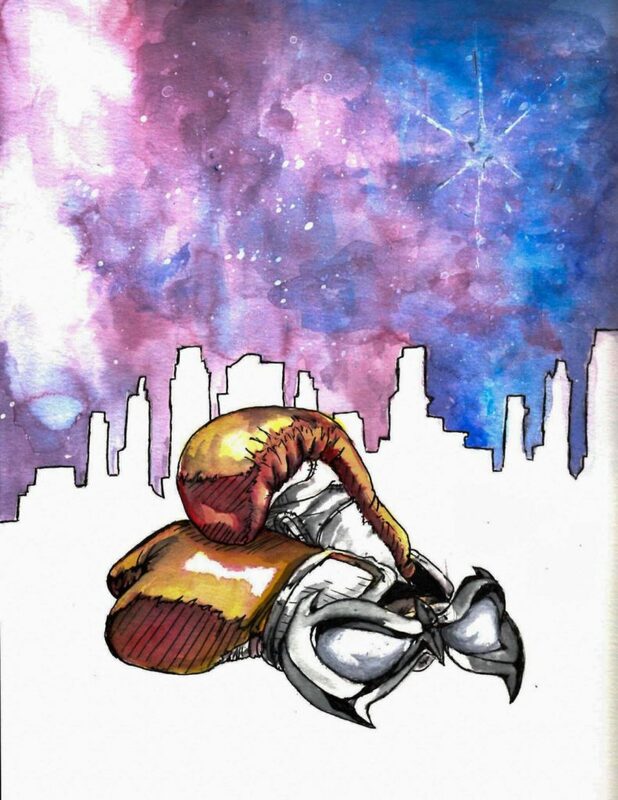 You can find out more about Jenni’s novel and her other writing on her blog – https://jenniferdebie.com/the-adventures-of-dogg-girl-and-sidekick/. This entry was posted in News on October 18, 2018 by Mary Morrissy. Creative writing MA student Darren Hall is one of ten local and international playwrights to take part in Cork Arts Theatre annual 10 x 10 minute play event. Now in its ninth year, it has become one of the most popular events in CAT’s calendar. Darren’s play “(Con)flagrant Disregard” features a couple of unsavoury characters who are sent by The Boss to “have a talk” with a third character. Unfortunately when they arrive he’s asleep so they decide to wait for him to wake up. 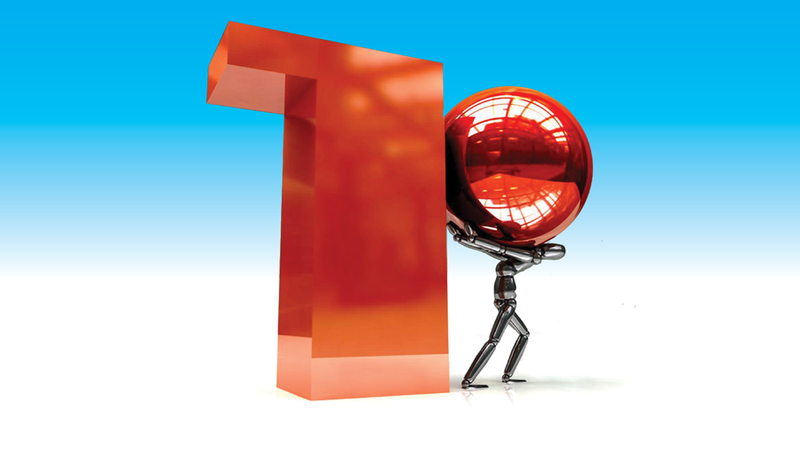 The 10 x 10 event opens tonight (Tuesday, October 16) and runs till Saturday, October 20, nightly at 8pm. See http://corkartstheatre.com/event/10×10-minute-play-event/ for details. This entry was posted in News on October 16, 2018 by Mary Morrissy. The 2018 Frank O’Connor International Short Story Fellow, Carys Davies, has a busy week ahead. Along with teaching a short fiction module on the MA, Carys will be appearing at three writing festivals in the next week. 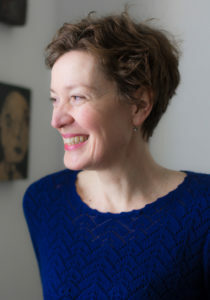 This coming Saturday, October 13, she reads at the Cheltenham Festival http://wwwcheltenhamfestivals.com – while on Sunday, October 14, she will be sharing a platform with Sarah Moss at the Manchester Literary Festival – http://www.manchesterfestival.co.uk. Next Wednesday, October 17, and a little closer to home, she will be appearing at the Belfast International Arts Festival. 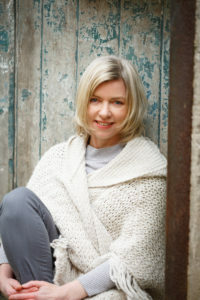 For full details go to https://belfastinternationalartsfestival.com/event/carys-davies/. This entry was posted in News on October 11, 2018 by Mary Morrissy. 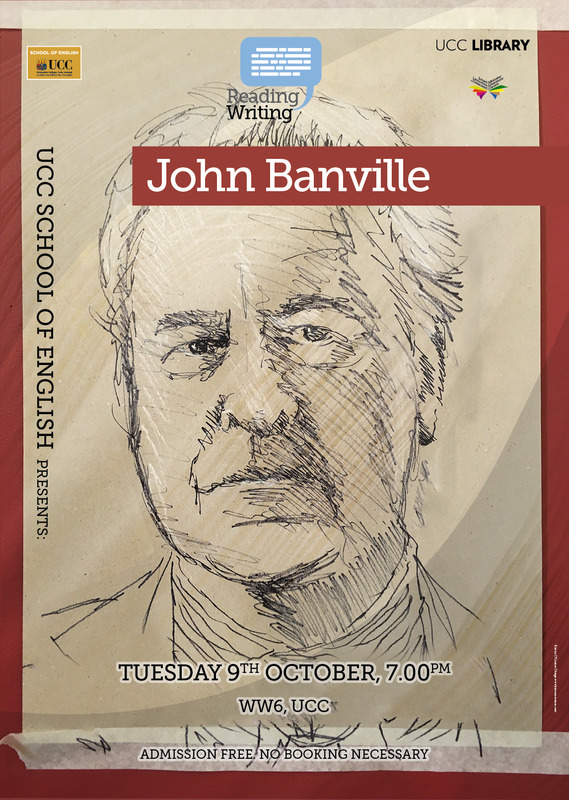 Don’t forget – John Banville reads at UCC tomorrow, Tuesday, October 9, in WW 6 @ 7pm. He’ll also be talking to our MA fiction workshop students about his writing life in the afternoon. Banville is the author of more than 20 novels, both under his own name and his crime-writing pseudonym Benjamin Black. He is also a memoirist and screenwriter and has adapted several of Heinrich Von Kleist’s plays for the stage. He won the Booker Prize with his 2005 novel, The Sea. His most recent novel Mrs Osmond is a speculative continuation of the Henry James novel, Portrait of a Lady. This entry was posted in News on October 8, 2018 by Mary Morrissy. 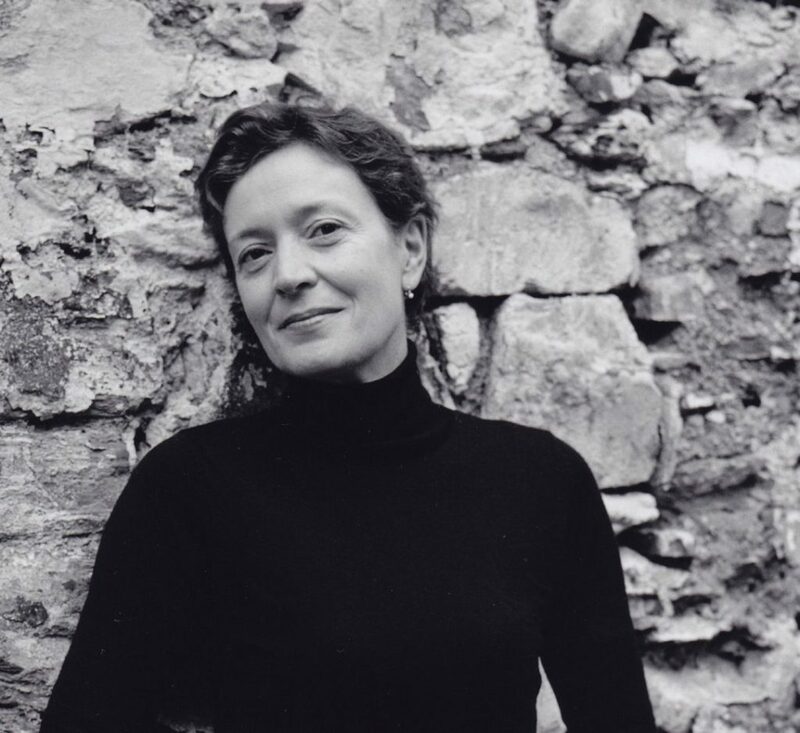 Director of Creative Writing, Dr Eibhear Walshe is to lecture on the wartime activities of the novelist Elizabeth Bowen at the Irish College in Paris. In the lecture he will talk about his forthcoming novel, describing Bowen’s experience of living through the Blitz in London, her writing of her celebrated spy novel, The Heat of the Day, her love affair with the Canadian diplomat Charles Ritchie, and her secret reporting on Irish neutrality for the British Government. The lecture takes place on Thursday, October 4, @ 7.30pm: Centre Culturel Irlandais, Paris. This entry was posted in News on September 28, 2018 by Mary Morrissy. Booker-prize winning novelist John Banville will read at UCC in the first of the 2018/19 School of English reading series. Banville is the author of more than 20 novels, both under his own name and his crime-writing pseudonym Benjamin Black. He is also a memoirist and screenwriter and has adapted several of Heinrich Von Kleist’s plays for the stage. He won the Booker Prize with his 2005 novel, The Sea. His most recent novel Mrs Osmond is a speculative continuation of the Henry James novel, Portrait of a Lady. 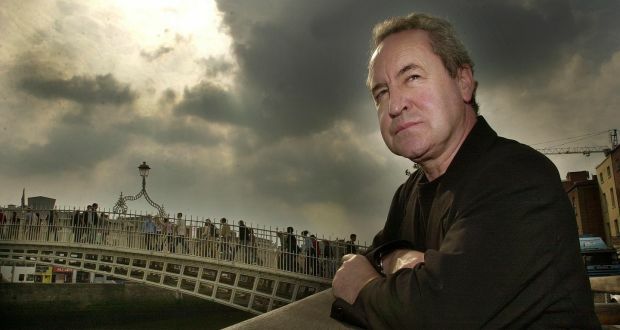 Banville has won numerous international awards including the Franz Kafka Prize, the Austrian State Prize for European Literature and the Prince of Asturias Award for Letters. He was presented with the 2013 Irish PEN Award for outstanding contribution to literature and was elected a Fellow of the Royal Society of Literature last year. The reading takes place on Tuesday, October 9, WW6 @ 7pm. Admission is free and no booking is necessary. Other writers in the upcoming series include Kerry Group Irish Book of the Year winner, Paul Lynch and Frank O’Connor International Short Story Fellow, Carys Davies, on Tuesday, November 20, Creative Zone, Boole Library. Novelist Donal Ryan with poet Colette Bryce, winner of the 2018 Pigott Prize, will read together on Tuesday, January 22, 2019, Creative Zone, Boole Library. This entry was posted in News on September 24, 2018 by Mary Morrissy. In the next week there’s a chance to hear student voices from the MA in Creative Writing – live and on the radio – proving that our graduands and graduates aren’t letting the grass grow under their feet. 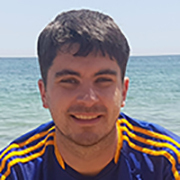 Tomorrow (Friday, September 14) MA student Diarmuid Hickey from the class of 2017/18, will be reading at a showcase event for the Banshee Journal at the Cork International Short Story Festival. https://www.corkshortstory.net/. Diarmuid’s story, “The Straw that Broke” appears in the journal’s seventh issue, out now. On Monday next, September 17, his classmate Claire Zwaartman’s story “Ashes”, just announced as this year’s outright winner of the Francis McManus Award, will be read on the Book On One slot on RTE Radio 1 at 11.20 p.m. Finally, MA alumn Tadhg Coakley, whose debut novel The First Sunday in September is riding high in the Irish best-sellers list, will be reading with Frank O’Connor International Short Story Fellow Carys Davies and UCC writer-in-residence Danielle McLaughlin at a School of English Culture Night Special – on Friday, September 21, WW 5 @ 5pm. Admission free and all welcome. This entry was posted in News on September 13, 2018 by Mary Morrissy. We’re delighted to welcome our two visiting writers to the School of English this year. 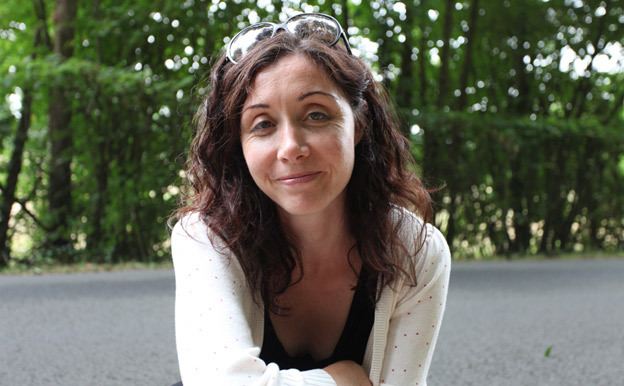 Welsh writer Carys Davies is the 2018 Frank O’Connor International Writer Fellow, a Munster Literature Centre initiative funded by Cork City Council. This is the third year of the fellowship which runs through the first semester and Carys will be teaching our MA in Creative Writing students. She is the author of two collections of short stories, Some New Ambush (Salt, 2007) and The Redemption of Galen Pike (Salt, 2014), which won the Frank O’Connor International Short Story Award, Her novel, West, came out earlier this year. 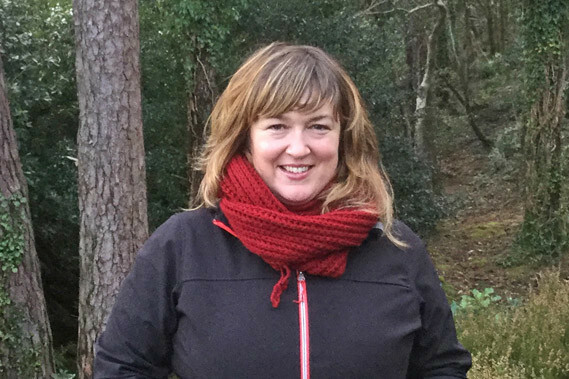 Our UCC/Arts Council Writer-in-Residence this year is Cork author Danielle McLaughlin, who will teach on the MA and offer workshops to undergraduates and staff during her year-long stay with us. Her debut collection of short stories Dinosaurs on Other Planets was published in Ireland by The Stinging Fly Press in 2015, and her stories have been widely anthologized. She is at work on a novel and is editing a collection of short stories, Counterparts, with a legal theme, due out in November. Both writers will appear in the upcoming Cork short story festival (September 12 – 15) – https://www.corkshortstory.net/programme.html – and will also feature in the School of English special Culture Night offering – along with MA graduate Tadhg Coakley at 5pm on Friday, September 21, WW 5. Please join us there! This entry was posted in News on September 10, 2018 by Mary Morrissy.